The Loire footpath, the GR3®, covers nearly 1,300 km from Mont Gerbier-de-Jonc to the Atlantic Ocean. 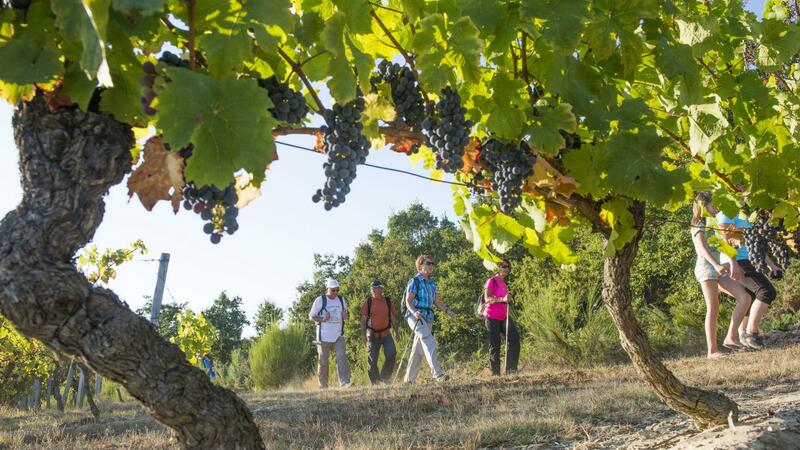 Explore the Loire Valley countryside on foot along a Grande Randonnée (Long Distance Walk) or Grande Randonnée de Pays footpath, discovering all the different aspects of the Loire Valley along the way including iconic cities, local plant and animal species, Loire châteaux, vineyards and troglodyte caves. Let's start walking! The GR3® follows the Loire from its source (Mont Gerbier-de-Jonc) over a distance of nearly 1,300 km, right up to its estuary on the Atlantic coast, in La Baule. It was the very first Grande Randonnée footpath to be created in France! 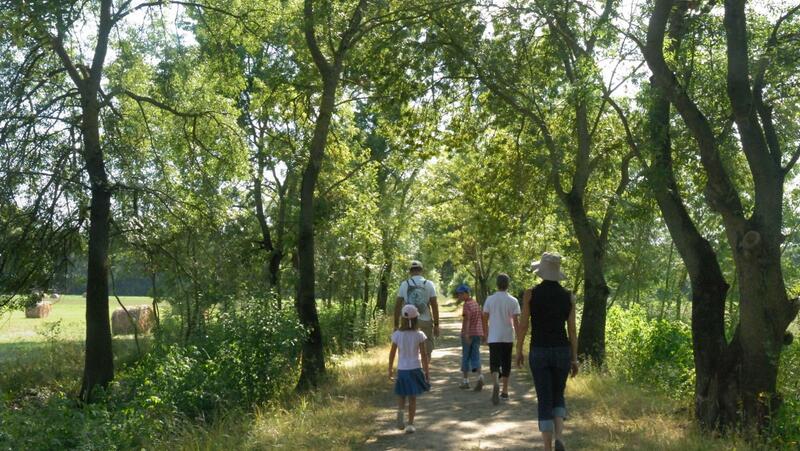 The path will take you through typical Loire Valley countryside in close proximity with local wildlife. You will also discover iconic cities such as Orléans, Blois, Amboise, Tours, Chinon, Angers and Nantes. Upstream from Orléans, you can also discover the Basilica of Saint-Benoit-sur-Loire and the Carolingian Oratory of Germigny-des-Prés. Along the way you will come across multiple Loire châteaux including Sully-sur-Loire, Chambord, Chaumont-sur-Loire, Villandry, Azay-le-Rideau, Montsoreau and Saumur, and will be able to admire vineyards and toglodyte dwellings, notably including those of Vouvray and Anjou. There are also a few variations of the route, including “de vignoble en vignoble" (from vineyard to vineyard) or "sur le Chemin des Mariniers de la Loire" (on the Path of the Loire bargemen) which will reveal to you the full history of inland water shipping along the royal river. Two other variations, “le sentier de la forêt d’Orléans” (the Forest of Orléans path) and “le sentier de la Sologne” (the Sologne path) are also available.